Ramen lovers take note: there’s a new brand of tonkotsu in town. Inspired the intensely porky bowls of ramen from her childhood in Fukuoka, Japan, Moe Kuroki began several years worth of experimentation with her own scratch-made tonkotsu in her kitchen in Boston. Working with her husband Mike Betts, a CIA-trained personal chef who formerly worked under Ken Oringer at Clio, the duo has finally prepared a worthy scion to influences like Fukuoka’s legendary Isshintei and New York’s Ippudo. Now the two are unleashing their small-batch ramen in a 50 bowl pop-up on November 18. For her upcoming pop-up taking place at Martin’s Coffee Shop in Brookline, Kuroki says she’s charging more than she would care to, but each individual bowl is so labor-intensive, there wasn’t an alternative. Besides the pork bone-based tonkotsu broth, which often requires a full day of simmering and skimming, Kuroki will be making and hand-kneading each batch of noodles, a process she says takes up to 15 minutes per bowl. 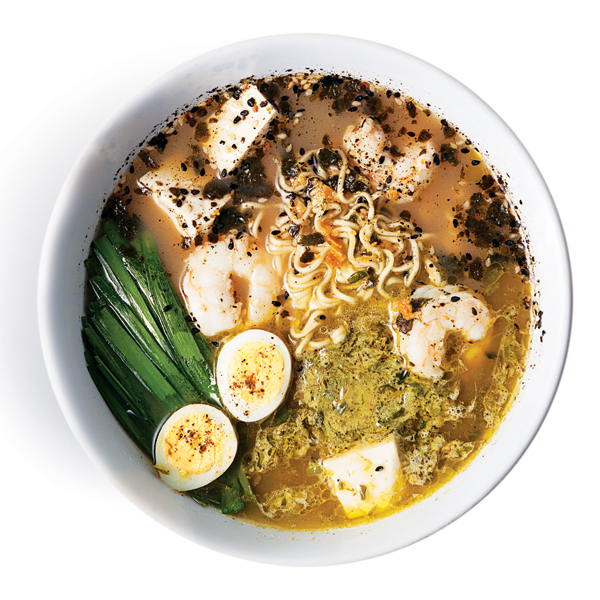 The OISA ramen pop-up will have four seatings spaced out in 30-minute blocks starting at 5:30 p.m. Each seating will serve 12 diners in Martin’s limited diner space. Cost per guest is $25 and includes salad, gyoza, dessert, and ramen. Kuroki says that the reception on the Brookline dinner will help determine how aggressive she’ll be in future pop-ups. Reasonable frequency will also hinge on finding a way to alleviate the time constraints of her noodle recipe. Currently, Kuroki is pursuing a partnership with New York’s Sun Noodle, the same company which collaborates with David Chang (Momofuku) and Ivan Orkin (Ivan Ramen). $25 per person; Nov. 18, Martin’s Coffee Shop, 35 Harvard St., Brookline; oisaramen.com.